As I write this the football season has ended, the sun is shining and Daft Punk have released an album that gives me sunburn just listening to it. All of these things suggest that summer is fast approaching, Bream time! We have been getting among a few fish since the start of May and over a few trips out in the boat we have quickly boosted the 2013 species count. 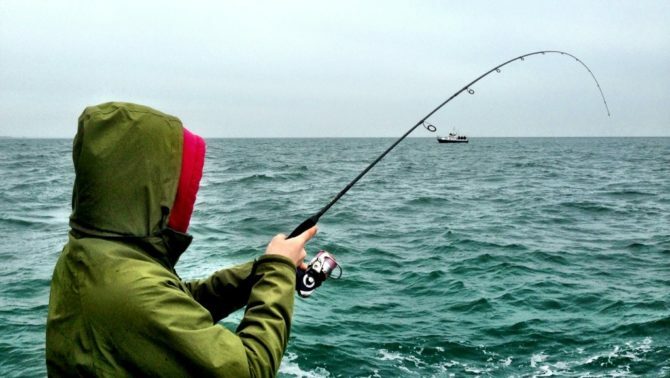 Mackerel, Pollack, Pout and Ballan Wrasse are always willing to grab all sorts of lures at this time of the year and the Pollack in particular have given us some great fishing. We don’t get many big Pollack on our patch but fish between 2-4lb on LRF/HRF gear is great sport. All of this though is frankly a distraction for me as by far my favourite fish of any time of year is the Black Bream. These little power-house fish don’t get the credit they deserve mainly because of the tackle used to catch them, but scale the rod and reel correctly and they go from plucky little bruisers to full blown drag testing sports fish and with a bit of effort we can now target them on lures with a reasonable amount of confidence. 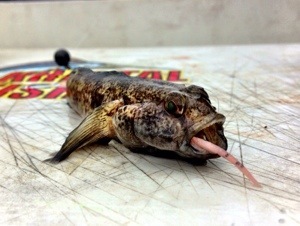 This for me is the biggest result of my lure fishing since I started. 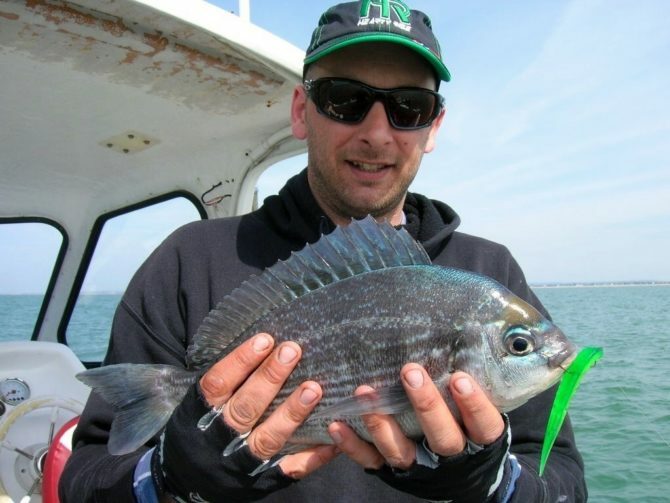 I am not suggesting that I have cracked it because I haven’t, but Bream on lures seemed impossible 4 years ago, so to have caught several this year on a variety of tactics is progress to me. 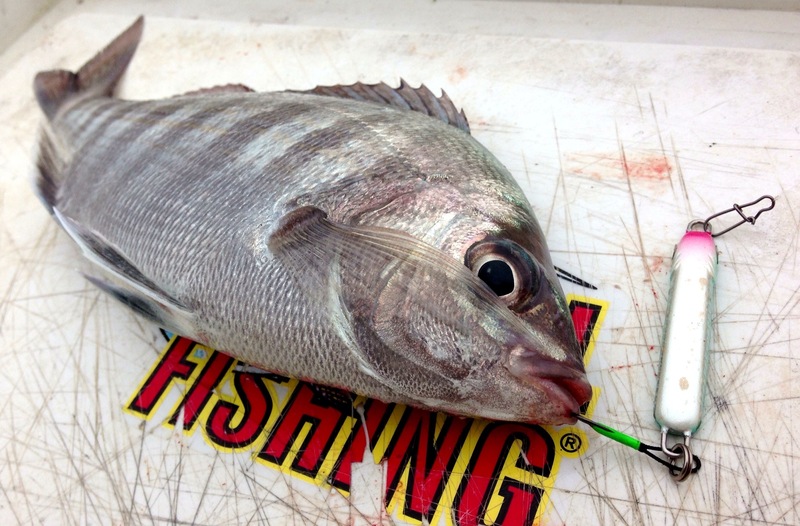 Jigs have done plenty of damage with all sorts of species but there is no mistake when a Bream hits metal. It's violent and it's hard which equals fun. This one fell to Adam during a session in mid May. Adam again showing off his Nories rod, possibly the most perfect Bream rod I’ve seen. Isome and Milfles are also doing the business but they also attract the attention of everything else! 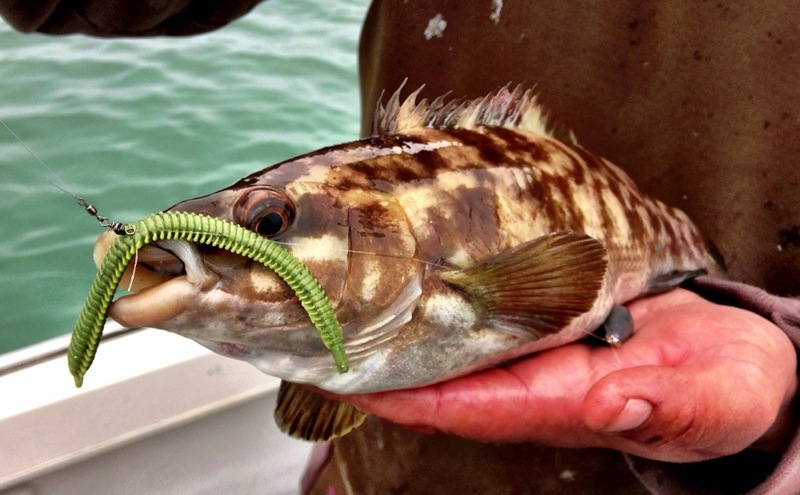 Lots of Wrasse are keen to grab Bream intended plastics, this one on dropshot. Probably the most satisfying so far though was a Bream taken on Texas rigged X-Layer. We had some fish at the back of the boat snatching at smaller lures without committing so I went bigger and the takes became harder until this Bream got attached. Not sure if it was a clarity issue but sometimes you have to give 'em something big enough to grab hold of. My best Bream of the year so far at 2lb 8oz, a long way off the 4-5lb Bream I dream of, but worth its weight in gold for showing just what is possible. C-320 Megabass - LURE LEURRE WOBBLER XLAYER 4.5"
C-330 Megabass - LURE LEURRE WOBBLER XLAYER 4.5"
C-319 Megabass - LURE LEURRE WOBBLER XLAYER 4.5"